Lilacs. Can you smell them? 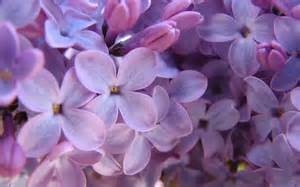 My favorite scent is Lilac. I’ve loved them all my life. Not the man-made colors that have no smell. The classic, original lilacs whose odor is intoxicating. Some years ago, when I first moved into my current home, I transplanted some old lilacs from a friend’s house. They never bloomed. No matter what I did or didn’t do, the lilac’s refused to produce flowers. So I gave up trying to grow them. Each spring, as I’d walk through the neighborhood, I’d look eagerly for lilacs. One house on the next street has two lilac bushes right along the road. As I’d pass by and smell the aroma, I’d ask permission of the bushes to inhale some of the fragrance directly from the flowers. Generously, they always agreed. 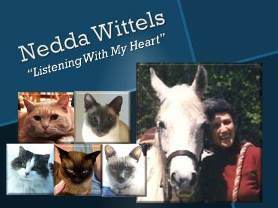 In the late 1990’s, I met a gal at a psychic fair who sold essential oils. She claimed to have a Lilac oil at home that she could send me. This surprised me, as I have never found natural lilac scent anywhere. All lilac perfumes are artificial and smell terrible to me. Was this going to be the real Lilac essence? I ordered a bottle and waited eagerly for it arrive. I tore the package open and enthusiastically unwrapped the bottle. Then very cautiously, I opened the bottle and inhaled. The aroma of life force? It was like breathing in life force – oxygen. I couldn’t get enough of it. Every day for several weeks, I’d just open the bottle and inhale the scent like a tonic. The energy of it would spread through my body. The gal who sent me the Lilac essence has disappeared, and the bottle of Lilac essential oil is gone as well. She told me that Lilac heals the spine, and my back definitely felt better when using it. I have no idea where to get more, so each spring I ask the lilac bushes to share their healing power, and they do. Meanwhile, I’ve learned how to make flower essences, and I’ve made Lilac for myself. Of course, it has no scent and works energetically. But I miss the aroma. This year, I’ve been given a gift of Lilac. You see, two of the houses next door to me have lilacs blooming in their yards. Something about the odd weather has brought forth abundant lilac blooms. The unusually cool spring has kept them fresh far longer than usual. 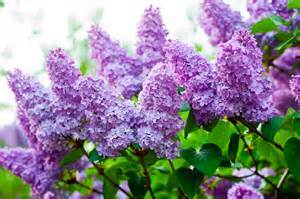 And when I open my windows, a gentle flow of air is bringing the magnificent, healing scent of lilacs right into my house. Do you have an affinity for a particular flower? What does it call forth in you? How do you feel when you see it or smell it’s scent? Flowers have spirit and are often willing to share their healing powers. Connect with the flower that calls to you most strongly and invite it to communicate with you. You may learn something new, unexpected, and powerful about plant spirit and healing.